You and your small group will enjoy a luxurious riding experience during the 13.5-hour tour. You will ride in one of our Mercedes vehicles which feature leather seats, USB ports, and outlets throughout the vehicle. With only up to 14 passengers, this is a great comfortable way to stay away from the big crowded buses. You and your party will have up to 4 hours to hike, shop, eat (not included) and enjoy the magnificent views of the Grand Canyon. While bottled water is provided on your tour, feel free to bring snacks and drinks. Sorry, no alcoholic beverages. Along the way at the fuel stop there is a Subway sandwich shop for you to purchase food. There is also a variety of restaurants and cafeterias at your destination. 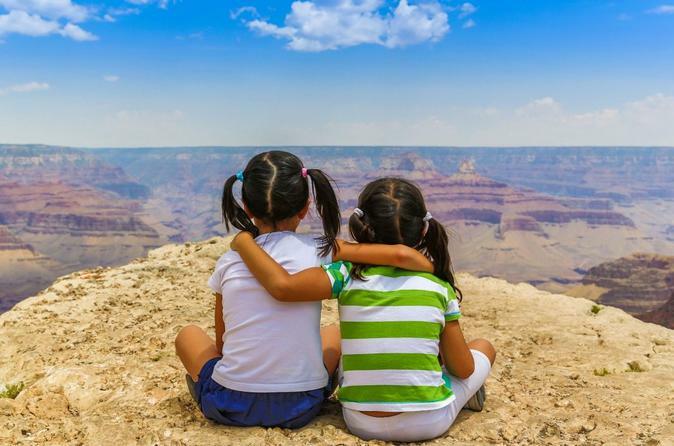 The entrance fee to Grand Canyon National Park is included with your tour.